The easiest splitter installation on the market. 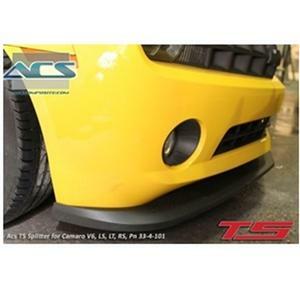 The ACS-T4 Splitter is latest product driven by enthusiast demand. Installs on all Camaro V6 front fascias and will not lower the vehicle's ride height. Fits 2010-2013 V6 Camaro only. Improves airflow for greater down-force.